If you know me at all, you know that I don’t really like the limelight. I don’t enjoy being featured, being publicly celebrated or given attention or accolades. Yet, that’s exactly where I found myself recently while attending the PCMA Convening Leaders Annual Conference in Austin, Texas. 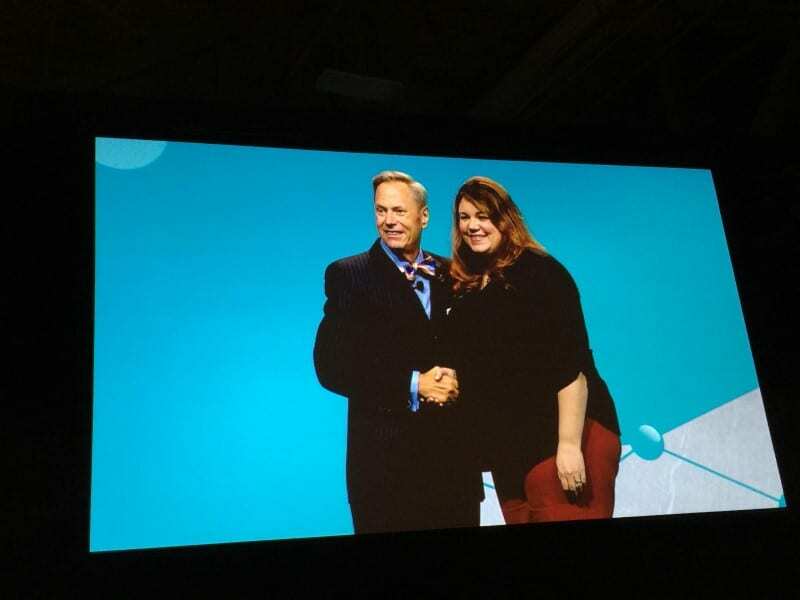 At its annual conference, PCMA (Professional Convention Management Association) hands out a handful of awards to its most deserving members. Nominated by our current chapter president, David Kinney, I was honored and humbled to be chosen as the recipient of the “Outstanding Service to a Chapter” Award. 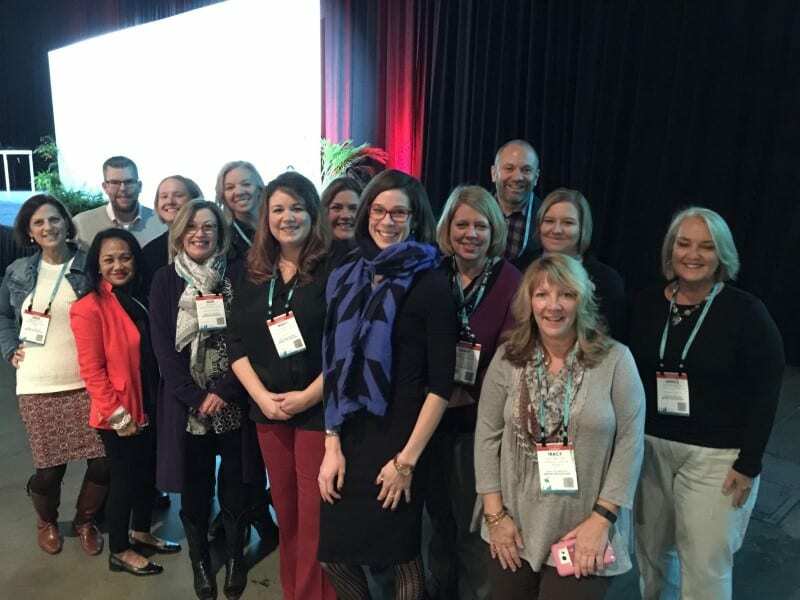 Each of PCMA’s 17 chapters nominates one deserving individual and the award is then presented to the winner at a luncheon in front of over 4,000 attendees. Since joining PCMA in 2000, I served our Heartland Chapter in many roles. First as active member, moving to active committee member, onto Committee Chair and then Board Director. I must have done something right because I was then elevated to the ‘leadership ladder’ where I served as Secretary, President-Elect, President and finally Immediate Past-President. It was my great joy to serve as chapter President in 2010 but I must say that my favorite role of all is my current one – Active Member and Past President. In this role, I get to do things for our chapter that I really love…identifying young and future leaders, assisting with special projects, supporting and mentoring the current leadership, and providing a historical perspective of the chapter for new members. Some of the wonderful members of the PCMA Heartland Chapter! The Heartland Chapter is one of PCMA’s smallest chapters by member size, yet we have one of the highest member retention rates of any of their 17 chapters. Our ‘small but mighty’ chapter doesn’t often get the limelight at this large annual convention of its members, so to be personally honored for providing “Outstanding Service” to this very special chapter is one of the greatest honors of my professional career. As a meeting planner, we’re used to making things happen behind the scenes and acting in service of the organization and event for its overall success. A meeting professional plans and executes the strategy, logistics and details of an event without most attendees seeing us or even knowing that we exist. Most people simply don’t realize that we’ve spent countless hours to execute what they’re experiencing at the event. So while I have no issue with public speaking or delivering an address in front of an audience, being recognized and honored in this way with the attention and the limelight on me and my ‘Outstanding Service’ was well outside of my comfort zone.